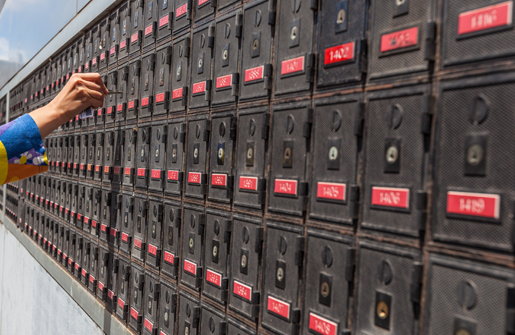 Mail pickup directly from Post Office Counter or PO Box delivered the same time every day. We deliver it so you don’t have to. “Neither snow nor rain nor heat nor gloom of night stays these couriers from the swift completion of their appointed rounds”. A time honored phrase but note the non-mention of time. If you can set your clock to a different time every day by the arrival of your postman you probably have a PO Box for your mailing address. Especially if your day’s work depends on what comes in the mail. You also probably while away a healthy portion of your morning waiting in line and going to and from your local Post Office. What you might not know is that Direct Messenger Service deliver you mail to your office the same time every morning for in most cases less that $10.00.